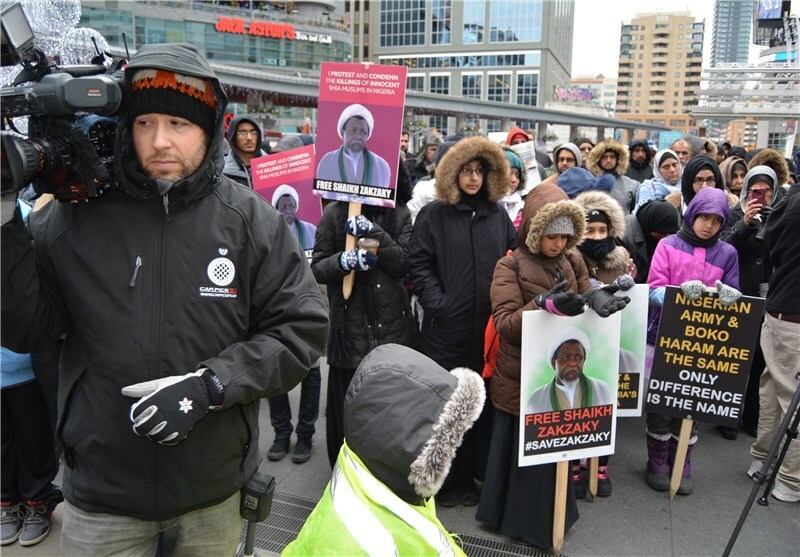 TORONTO (Tasnim) – Hundreds of Canadian citizens staged a rally in Toronto to condemn violent crackdown against Shiite Muslims in Nigeria and the arrest of prominent Nigerian cleric Sheikh Ibrahim Zakzaky. Participants in the rally, held in downtown Toronto on Saturday, included representatives from human rights organizations, mosques, and civil society groups. Holding signs demanding the release of Sheikh Zakzaky, protesters condemned the brutal massacre of a large number of Shiite Muslims by the Nigerian army in Zaria. 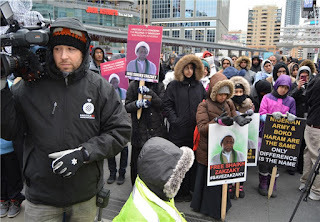 Protesters then demanded to see Sheikh Zakzaky in public to confirm that he is still alive, to determine the extent of his injuries, and to be given the opportunity to hear his side of the story. According to reports, at least 100 Muslims were killed last week when the Nigerian army raided the Islamic Movement headquarters and arrested its leader in the northern city of Zaria. Meantime, some media reports said that the death toll is much higher. On December 13, the army raided several buildings connected to the Islamic Movement and the home of Zakzaky. They arrested him and killed key members of the group, including Zakzaky’s second-in-command and spokesman. Aliy, Zakzaky’s son, was among dozens who lost their life in the raid. Three of Mr. Zakzaky’s sons had been killed in a similar attack by the Nigerian Army in July 2014. The Nigerian Army alleges that members of the Islamic Movement were involved in an attack on the convoy of the Chief of Nigeria’s Army Staff, Tukur Buratai. The movement has vehemently denied the allegations.